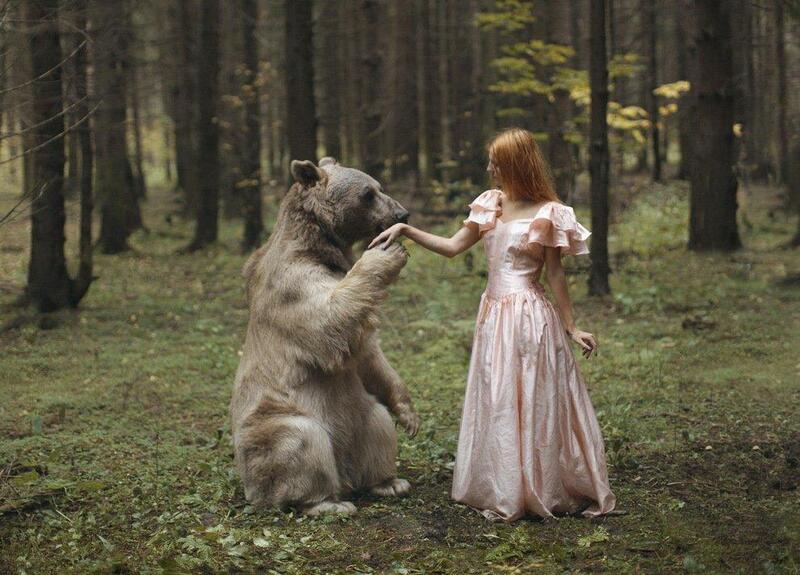 People have always been fascinated with wild animals. 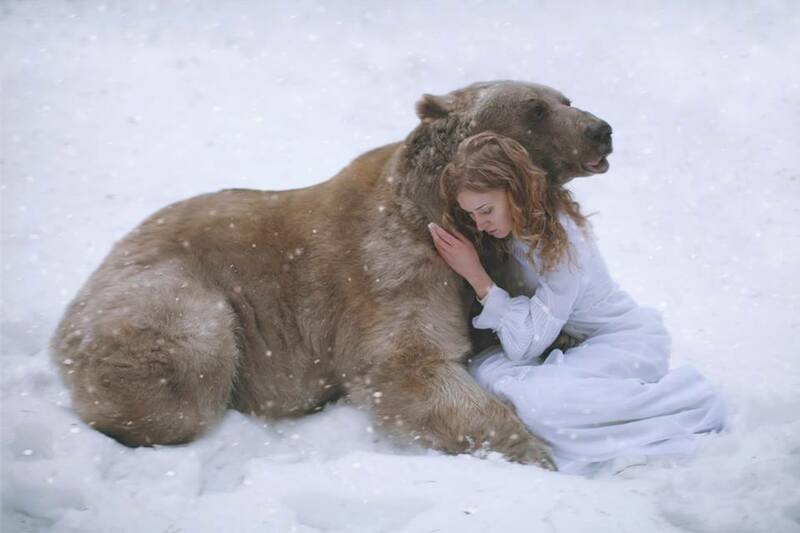 The posses a certain strength and ferocity, and at the same time can be timid and gentle. 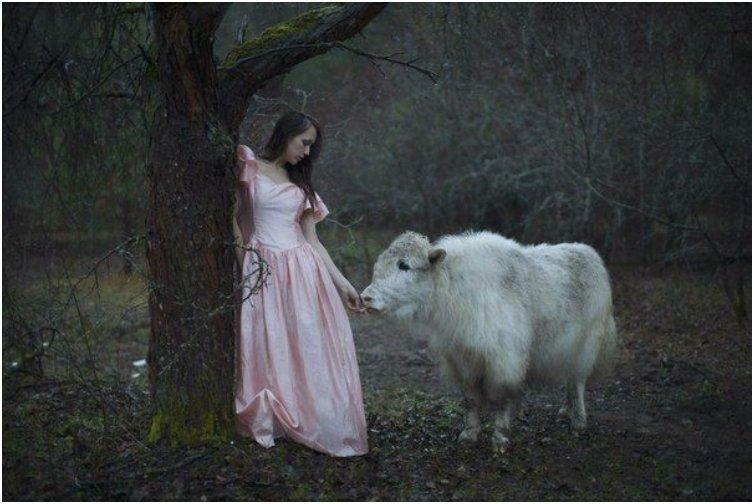 That gives them a certain beauty we both admire and fear. 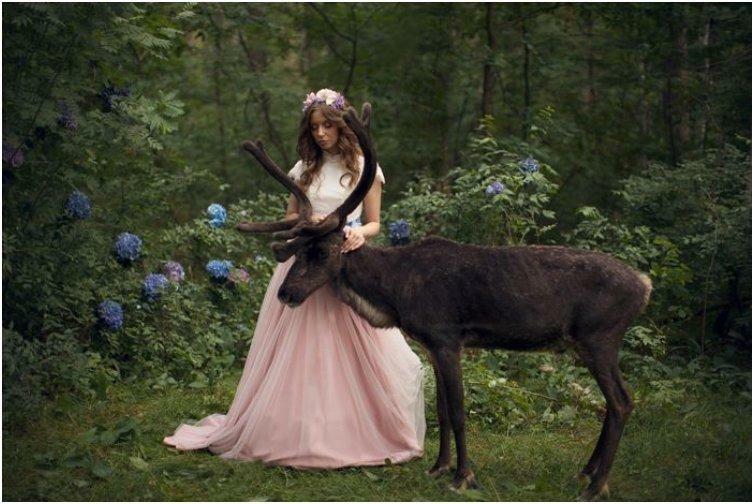 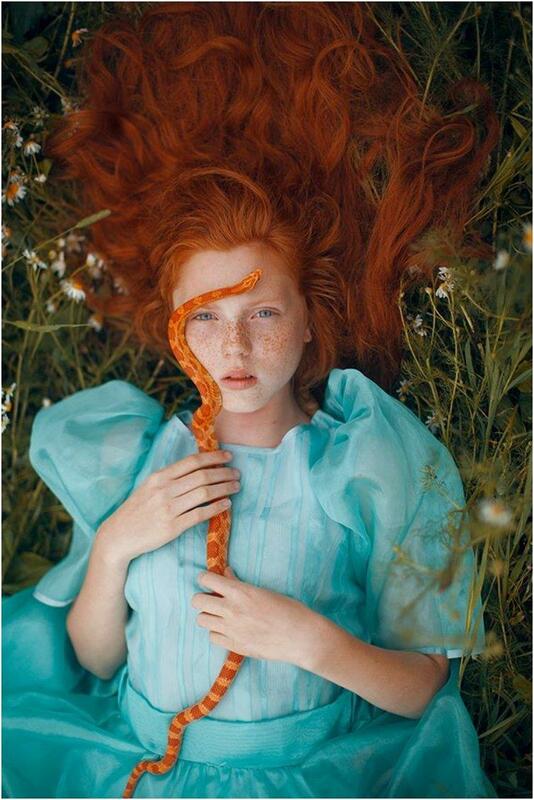 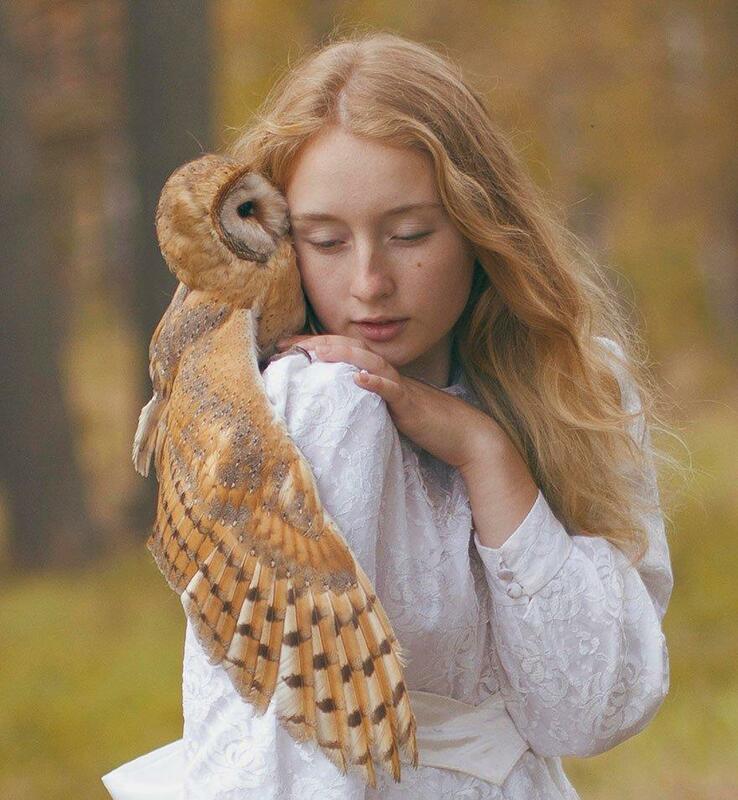 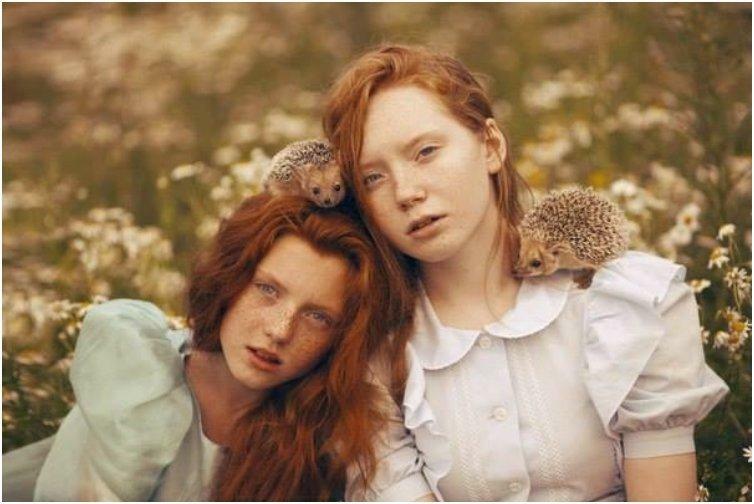 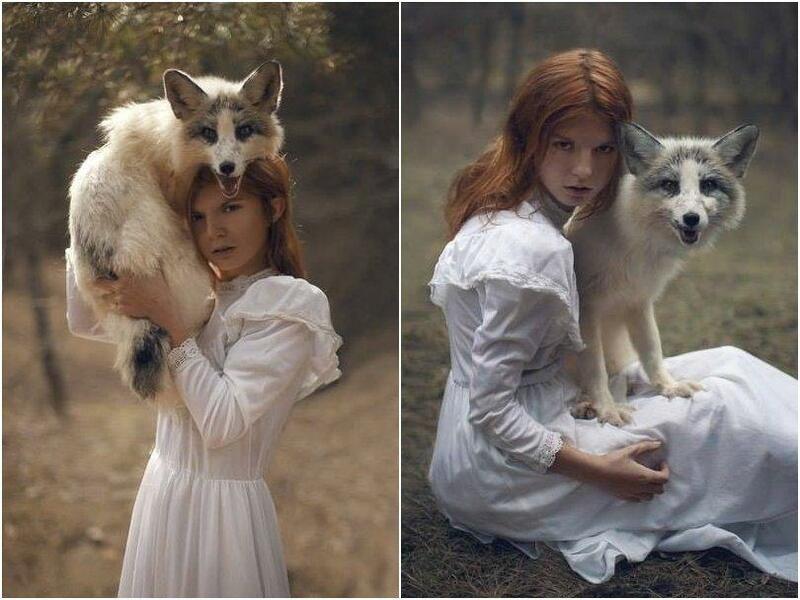 Place them beside a lovely gentle gentle girl and you you’ll get a picture straight out of a fairy tale, just like these wonderful photographs made by the Russian photographer Katerina Plotnikova. 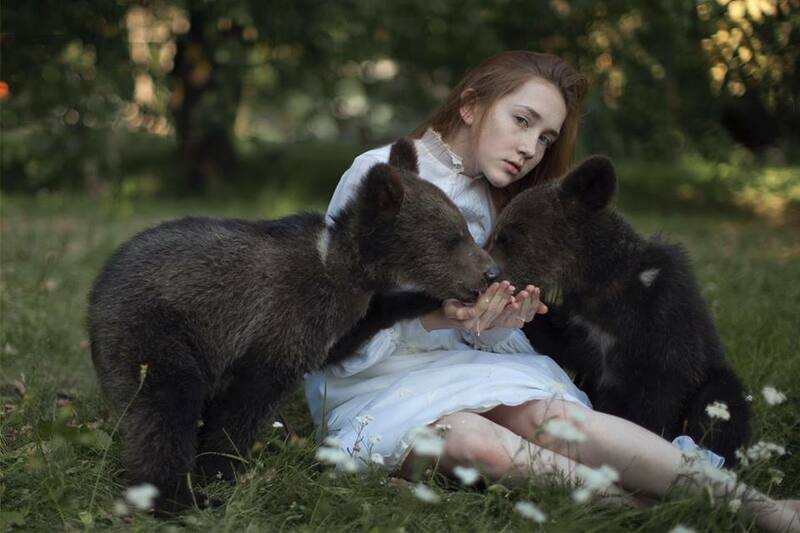 Any photographer would agree that the most difficult subject to photograph are wild animals and children. 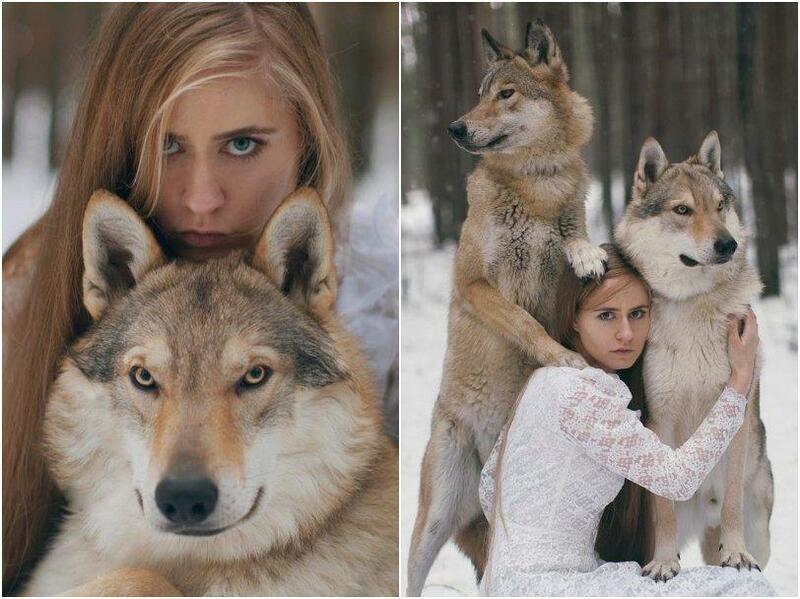 They are unpredictable and Still, all the effort is worth it once you take that amazing shot. 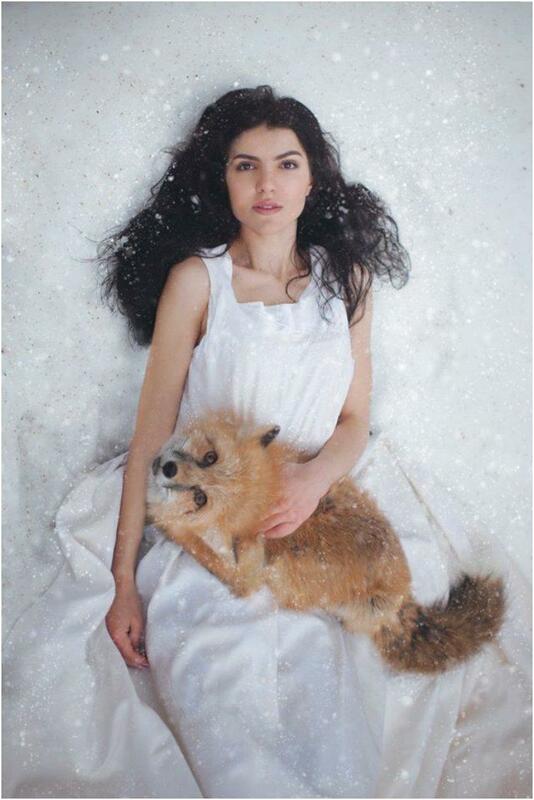 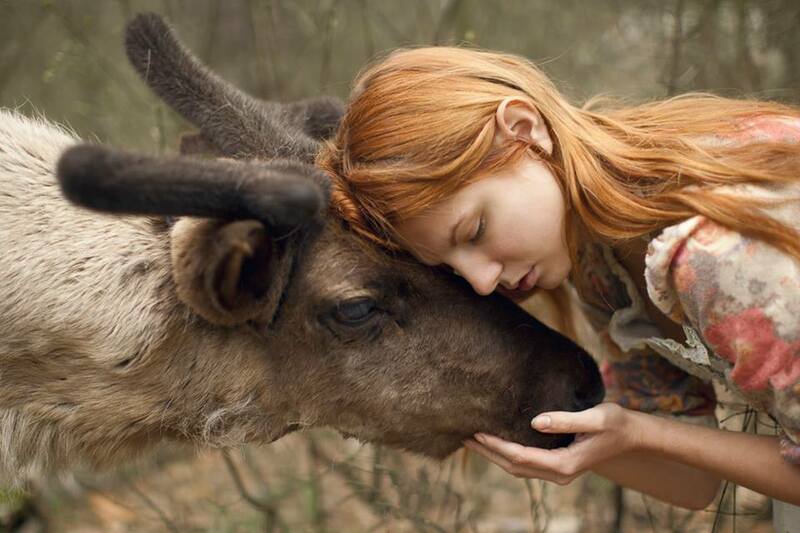 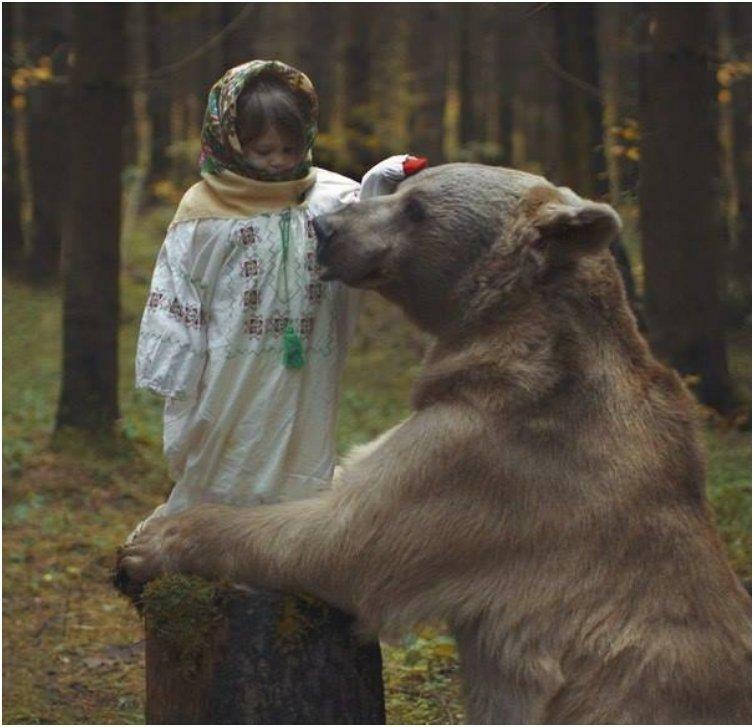 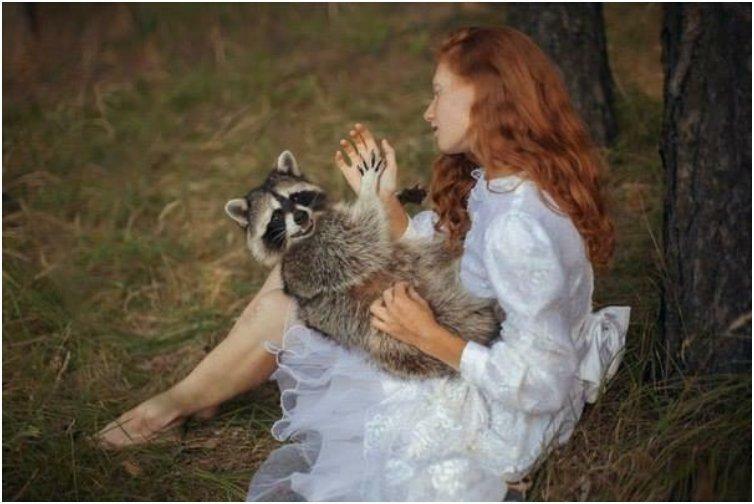 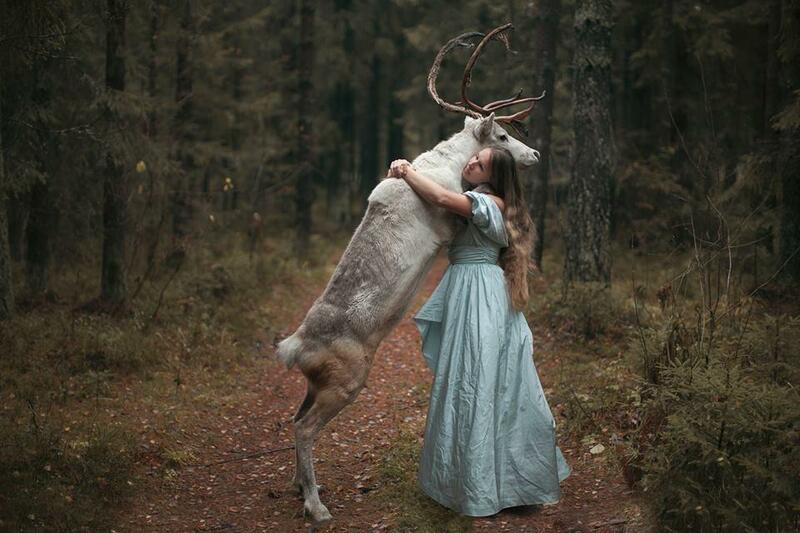 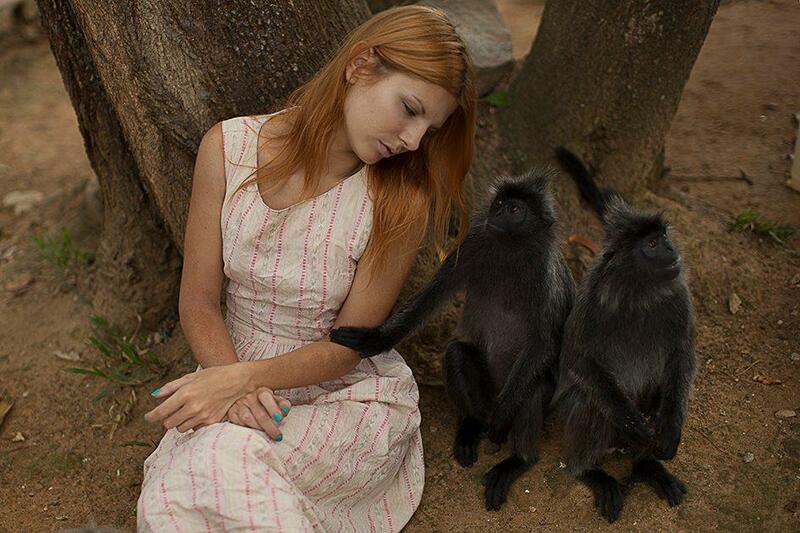 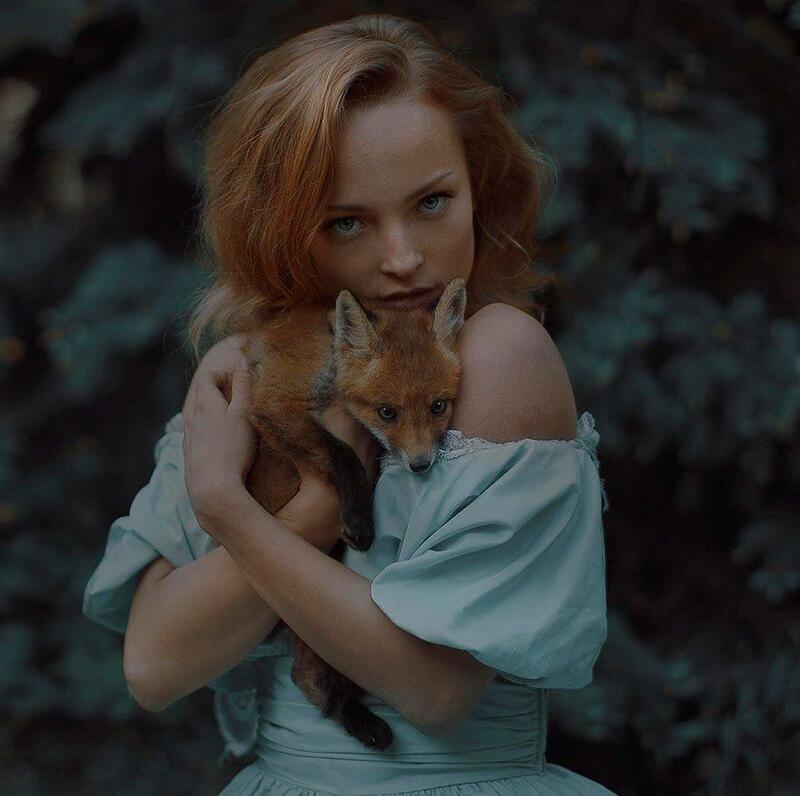 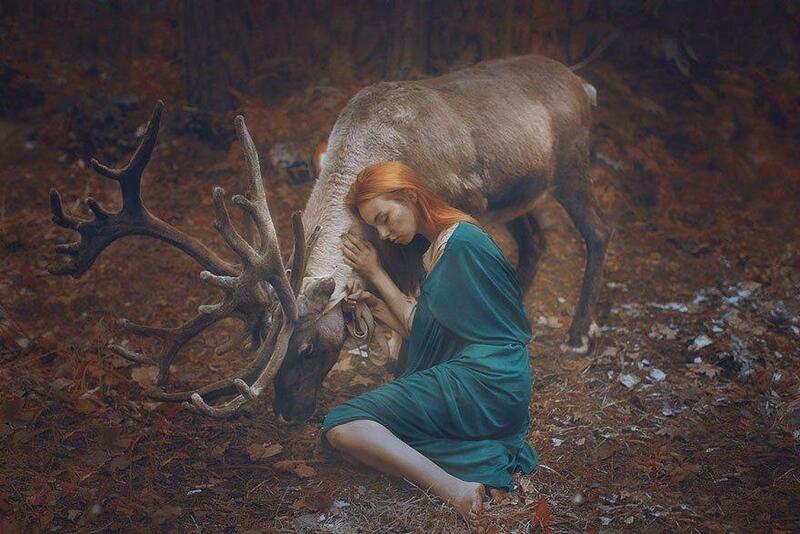 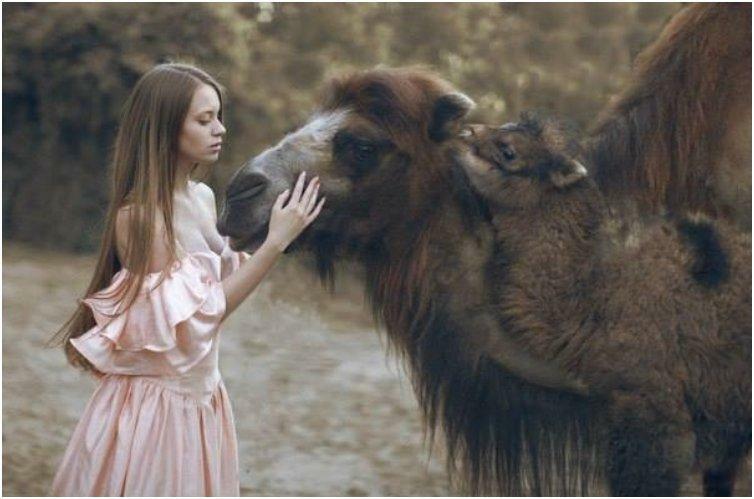 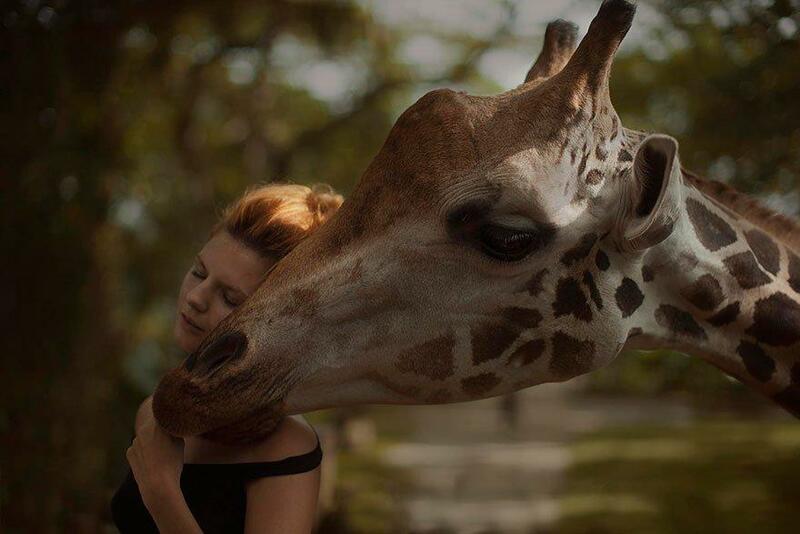 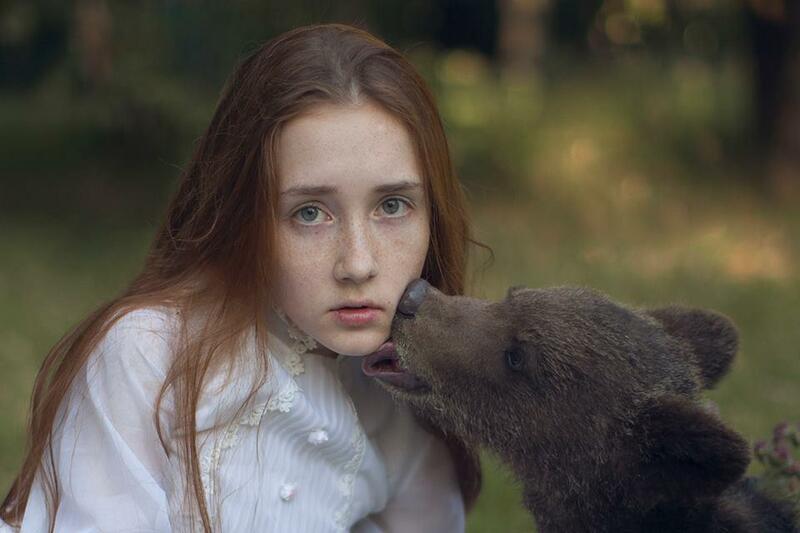 Today, thanks to programs like Photoshop, making pictures of animals and humans together is a lot easier and safer, but that is not the way of Katerina Plotnikova. 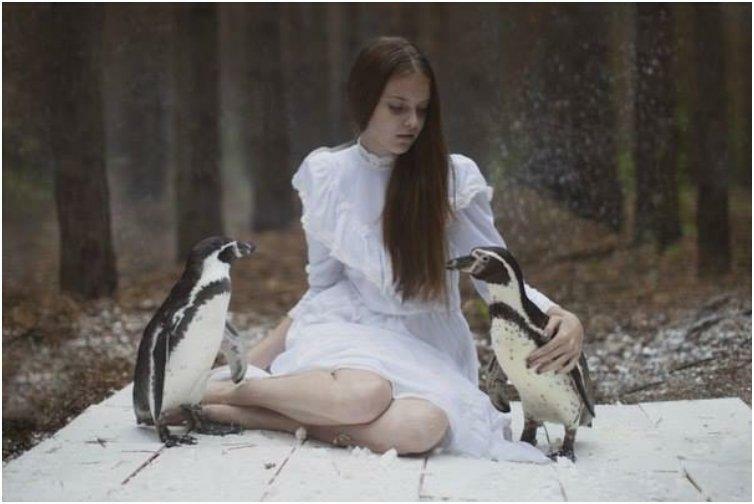 All the animals you’ve seen are not some people’s pets. 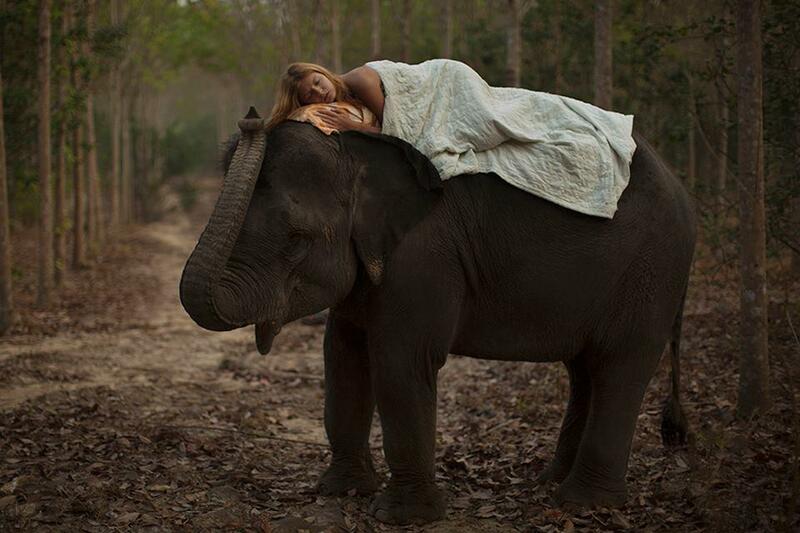 They are truly wild animals, kept in check only by their animal trainers. 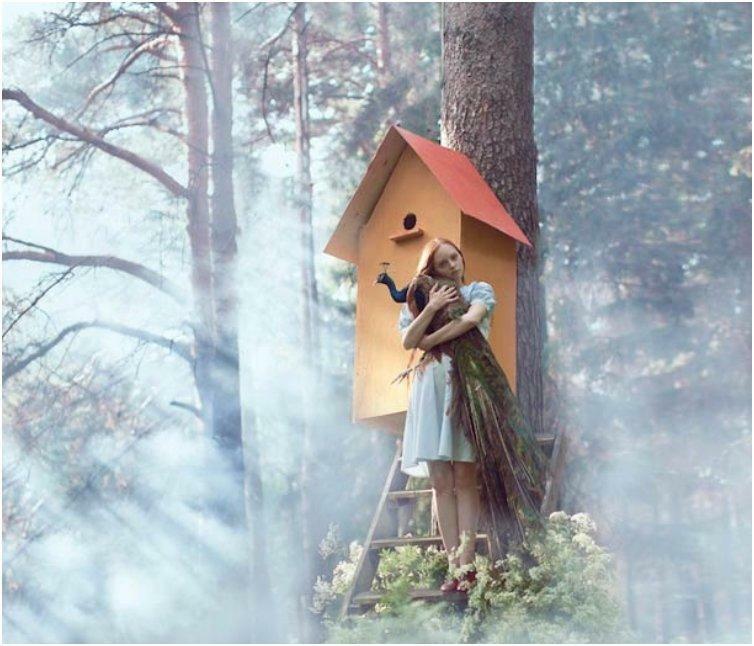 They are the reason why these images stir up such strong feelings within us. 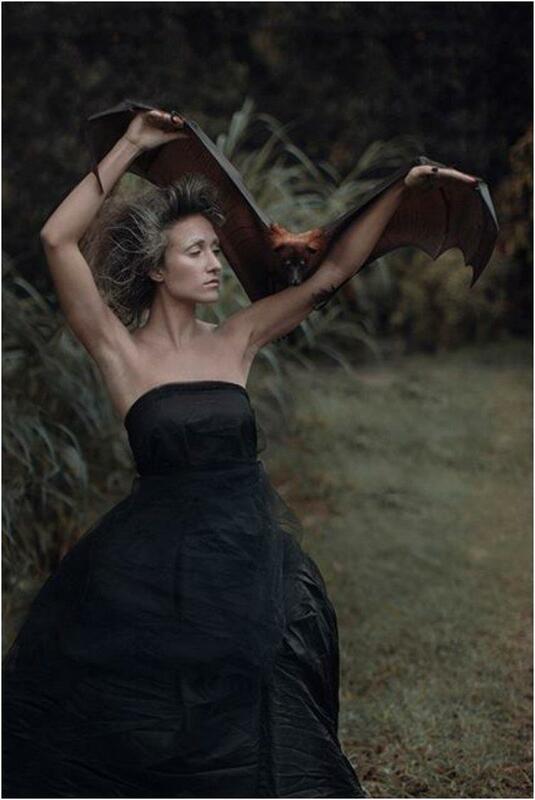 The surreal beauty and eleents of magic and fantasy achieved in these images can not be replicated with any photograph-editing tool. 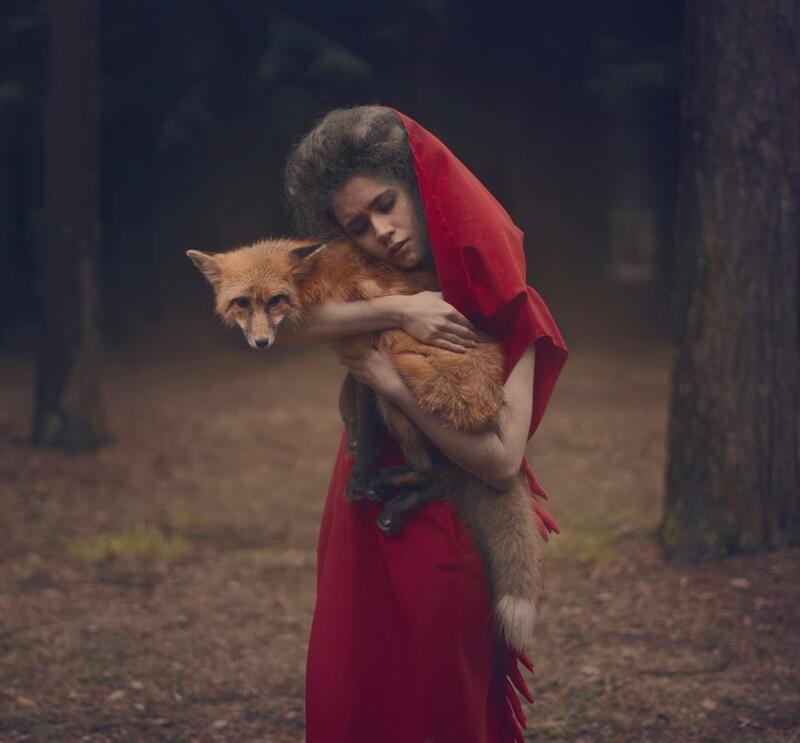 Seeing Kataerina’s work will mesmerize you. 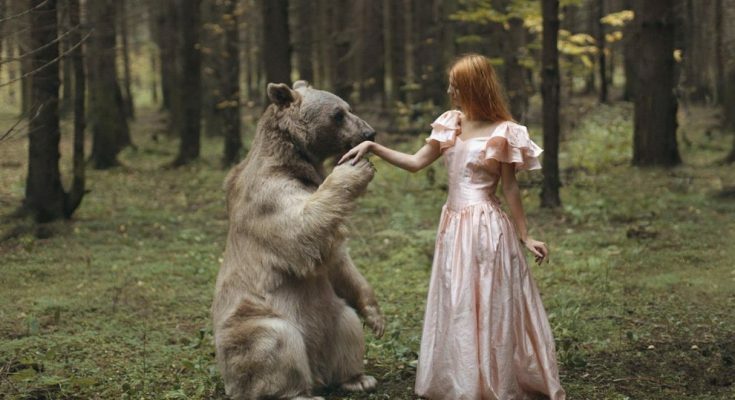 The poetic and mystical interaction between the regal and gentle young ladies and the seemingly tamed wild animals will captivate you and take you on a dreamy journey to a place where only piece and love exist. 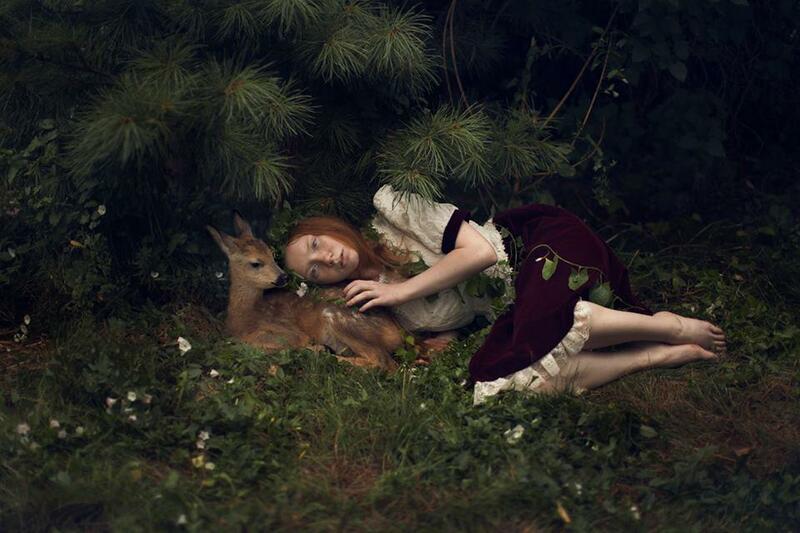 Visit her site to see more of her enchanting work..